The hotel sits at the gateway to the South West. The wide open spaces of Exmoor and the Somerset Levels, abundant with wildlife, are only a short drive away as are the glorious coastal paths overlooking the fossil-rich beaches of Charmouth and Lyme Regis. It is the perfect place to escape from the hustle and bustle of everyday life. The area is rich in culture and history; Glastonbury and Wells Cathedral, Hestercombe Gardens, Barrington Court, Exmoor National Park, the West Somerset Steam Railway, Sheppy's Cider Museum and Dunster Castle are amongst the many attractions on offer. 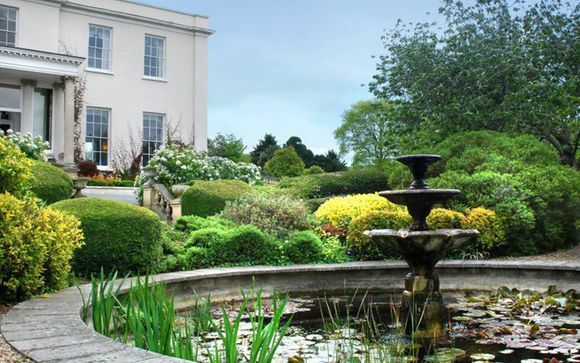 The Mount Somerset Hotel and Spa in Taunton, Somerset is a stunning Regency country house hotel, set in four acres of beautiful grounds. This grand dame of a building sits high upon her mount, cradled in between the Quantock and Blackdown Hills, affording guests some of the best views in Somerset. With its high ceilings, sweeping spiral staircase, opulent decor and a feeling of gentle elegance and luxury, The Mount Somerset has all the characteristics of a quintessential English Regency mansion. Well established as one of the finest luxury hotels and restaurants in the region, The Mount Somerset has won a host of awards including two AA Rosettes for outstanding cuisine and four AA stars for comfort and hospitality, making it the perfect venue for a dinner, a weekend away or a wedding in Somerset. The Mount Somerset Hotel has undergone a complete internal refurbishment, as well as a recent addition of eight luxurious new bedrooms. All bedrooms are immaculately furnished with a unique mix of traditional Regency features and stylish, boutique decor. Original wooden furniture and vibrant soft furnishings have been blended together to create the feeling of a lavish home away from home. 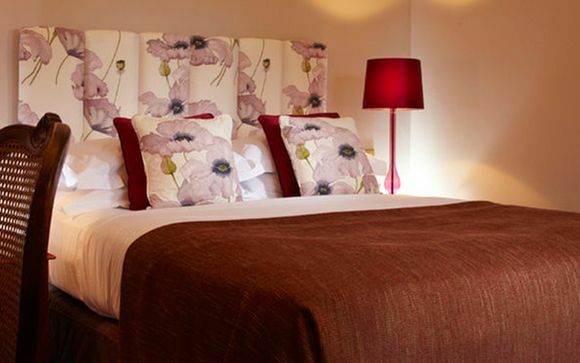 All bedroom amenities include the following as standard to ensure your experience at The Mount Somerset Hotel and Spa in Taunton is one of ultimate comfort and luxury. The Mount Somerset's menus combine classic favourites and imaginative new dishes using honest ingredients from the abundance of rich produce available in the South West. Exmoor lamb and beef, their own smoked salmon, Somerset ham hock, Somerset cheese, Brixham lobster and crab feature regularly. A well stocked wine cellar completes a truly exquisite dining experience. Service throughout is discreet, knowledgeable and attentive to ensure you have a memorable dining experience from the moment you enter the lounge for aperitifs to the moment we bid you a warm farewell! The Somerset Dining Room - The Somerset Dining Room at The Mount is an elegant space with muted tones and classic finishes which provide a relaxed and restful finish. With stunning views over the terrace, croquet lawn and gardens, guests will have a truly special dining experience. The kitchens have been awarded a coveted Two AA Rosette rating for their culinary creations so you can be assured that your meal at The Mount Somerset Hotel and Spa will be one to remember for years to come. The Garden Room - Adjacent to the restaurant, the light and spacious Garden Room leads directly on to the terrace, perfect for a pre-dinner aperitif or taking a breath of the sweet smelling Somerset night air. The Garden is perfect for warm evenings where guests can take their coffee or liqueur outside whilst star gazing or listening for owls. Private Dining - The Mount Somerset is the perfect place to share an exclusive private dining experience. Whether for a business lunch, family party, special anniversary or birthday, they can help you design your perfect bespoke celebration. Enjoy Champagne and canapés on the terrace in the summer or in our cosy lounge during the colder months, before delighting your guests with an award-winning menu personally designed for the event by the Head Chef. With simple polished plaster walls and a sparkling tiled mosaic floor, The Spa at Mount Somerset in Taunton is an intimate corner of peace and tranquillity with wonderful remnants of a traditional Hamman bath house. Relax in the hydrotherapy bath and let the soothing bubbles envelop you; take a seat in the sauna or steam room and surround yourself by the comforting aromas; experience a therapeutic spa treatment, or take the plunge and pull the cord on the 'kubel dusche', an elevated bucket of ice-cold water! 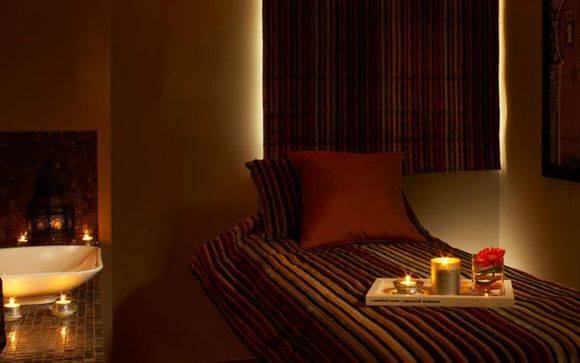 The Spa includes a hydrotherapy bath, sauna, steam room, foot spas and experience showers as well as three beautifully appointed treatment rooms. The Mount also have a luxurious, recently refurbished, fitness suite with running machine, cross trainer, exercise bike and rowing machine as well as different size free weights.